Gaskets and Sealing Products from the Leading OE Supplier. When it comes to gaskets and sealing products Victor Reinz is the brand that engine and vehicle manufacturers rely on—and the brand you can trust. Victor Reinz has been supplying to original equipment manufacturers for decades, and they are also the world’s largest manufacturer of gaskets and sealing products. The Parts Automotive Manufacturers Trust. Victor Reinz has always been a leader in the industry since the Victor brothers invented the cylinder head gasket in Chicago in 1909, and its standing in the world was strengthened even further when Victor joined forces with Reinz of Germany in 1993. Featuring products such as multi-layer steel head gaskets, exhaust manifolds and valve cover gaskets, the Victor Reinz name assures you that you’re investing in gaskets that automotive manufacturers place their confidence in. Gaskets and Sealing Products, Backed by Dana. By trusting in Victor Reinz, you can guarantee your parts are backed by Dana—a global supplier of drivetrain components and sealing products for a wide range of automotive, commercial, and off-highway vehicles. Dana has been in the Fortune 500 for 62 consecutive years and was voted one of Fortune Magazine’s 100 Most Trustworthy companies. Victor Reinz has 19 major facilities including 8 Research & Development Centers. With all-makes coverage, we can provide gasket sets for almost any vehicle. And now Victor Reinz products are once again distributed by Dana Incorporated, the original manufacturer and OE supplier. 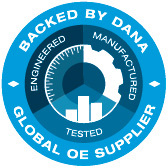 Dana sells its world-class gasket sets and sealing products, under the Victor Reinz brand name, directly to its North American network of aftermarket customers. The only way to make sure that you’re getting Victor Reinz quality is to go right to the source—Dana. All-Makes Equipment by Victor Reinz. We have a goal to fulfill customers’ needs through our quality products and service. Be sure to browse our full list of gaskets and sealing products—and look for our brand at a source near you! Clarence W. Spicer begins manufacturing universal joints, later founding Spicer Manufacturing Company. The Victor brothers manufacture the world’s first cylinder head gasket at their factory in Chicago. Charles Dana joins the company and rises to the position of president and treasurer. Hugo Reinz begins manufacturing gaskets in Germany and becomes a technology leader. Spicer is renamed the Dana Corporation in honor of Charles Dana. Spicer becomes the brand name for the company's driveline products. Dana acquires the Victor Gasket Manufacturing Company, which is a leading supplier to OE and the aftermarket. Dana acquires the Reinz Company and forms the new Victor Reinz brand for its gaskets, sealing products, and heat shields. Dana signs a long term contract for a third party to be the exclusive distributor of Victor Reinz gaskets in North America. 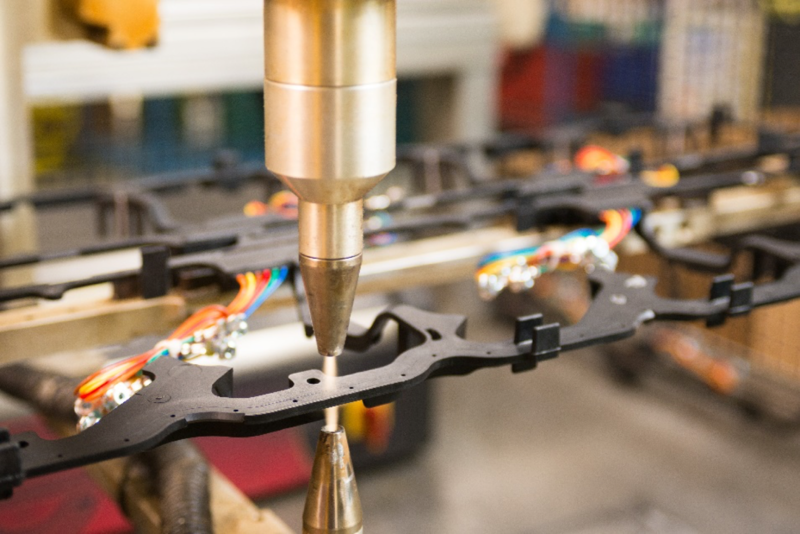 Dana acquires the Magnum Gaskets product line from Modern Silicone Technologies, a leading contract manufacturer of precision molded gaskets for aftermarket and OE. The Victor Reinz gasket brand “comes home” to Dana, its original manufacturer, in the North American aftermarket.